Private gardens in Britain cover about 270,000 ha (667,000 acres) so their potential as havens for wildlife is considerable. They provide food, shelter and breeding sites for a wide range of animals, which increases the interest and enjoyment of a garden. Thankfully, relatively few of Britain’s 22,400 species of insects are garden pests; of the rest, some of the others are beneficial as pollinating insects, or as predators or parasites of pest species, while most feed on dead or living plant material without having any detrimental effect on gardens. It isn't difficult to encourage wildlife without compromising the way your garden looks. Small changes to your garden can bring major benefits for the creatures that call it home. Some will actually save you time and resources, and all should bring in more wildlife to watch. Remember: gardening for wildlife doesn't mean leaving an untidy mess of only native plants. Wild About Gardens is a great web resource helping gardeners to make their gardens more wildlife friendly. 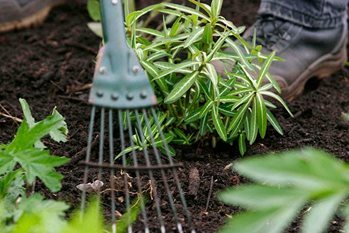 A joint project between the RHS and The Wildlife Trusts, it aims to encourage and inspire people to take action for wildlife in their gardens. The website gives tips and advice on how to encourage wildlife, from the smallest things such as feeding the birds to big projects like creating a wildflower meadow. It is also a great reference tool, with profiles on more than 200 birds, mammals, reptiles and plants. Plants for Bugs is a four-year study into wildlife gardening being run at RHS Garden Wisley in Surrey. We're looking at whether the geographical origin of garden plants makes a difference to the number and diversity of garden invertebrates. Find out about the preliminary findings of research into insect-friendly plants.